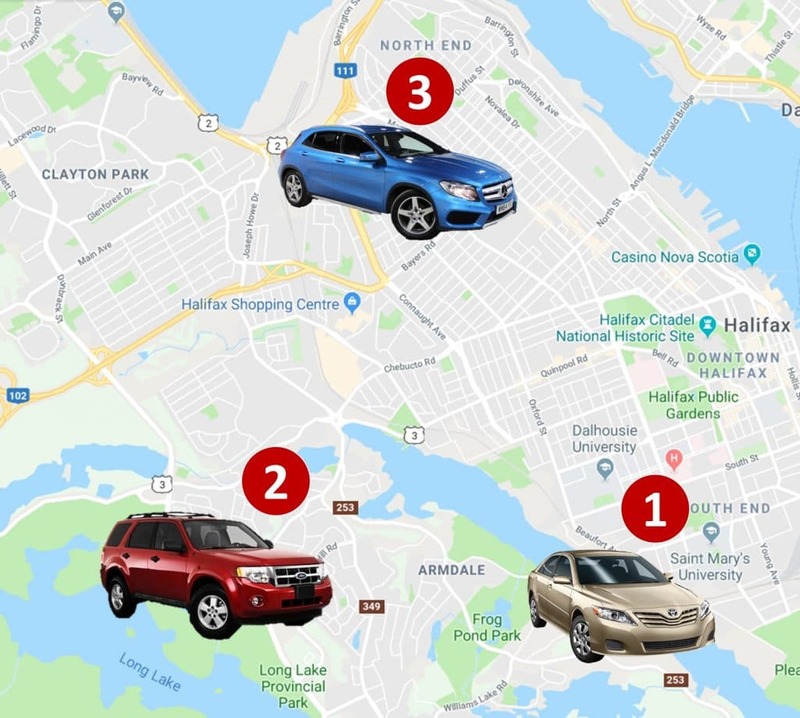 What are typical car insurance rates in Nova Scotia and other provinces? Halifax and other Nova Scotia drivers benefit from lower car insurance rates when compared to many other provinces. The average monthly car insurance rate in Nova Scotia is $91 per month ($1,093/year). Car insurance is required by law in Halifax and Nova Scotia. Mandatory liability coverage is the minimal 3rd party liability coverage that is dictated by law and included in every car insurance policy: $500,000 (most other provinces require $200,000). No-fault insurance: Halifax, similarly to Nova Scotia, has a no-fault car insurance system, meaning that it does not matter who is at fault. Each party’s insurer covers each party’s costs. Want to learn more? You can find more information in this brochure from the Office of the Superintendent of Insurance (Halifax office). Here is an overview of nearly all car insurance brands operating in Canada. Many of them operate in Nova Scotia, competing for your business. If you are not happy with your current insurance rates, there are plenty of other options out there. Some sell insurance directly through their call centers and agents, others choose to use brokers. There are many ways to reduce your car insurance rates. See our detailed graphic on the right. Consider Annual vs. Monthly Payments: Your annual payment reduces paperwork and administration for your insurer. Those savings can be passed on to you. Annual Review: An annual review catches new discounts for which you become eligible. Do you Really Need the Glass Coverage? It may be easier to budget for a new windshield instead of paying monthly premiums on your existing one. Driver’s Education: Some insurers provide discounts for those who complete driver’s education. Maintain Your Driving Record: The longer your driving record stays clean, the better your premiums. Seniors: Some insurers offer discounts to seniors.